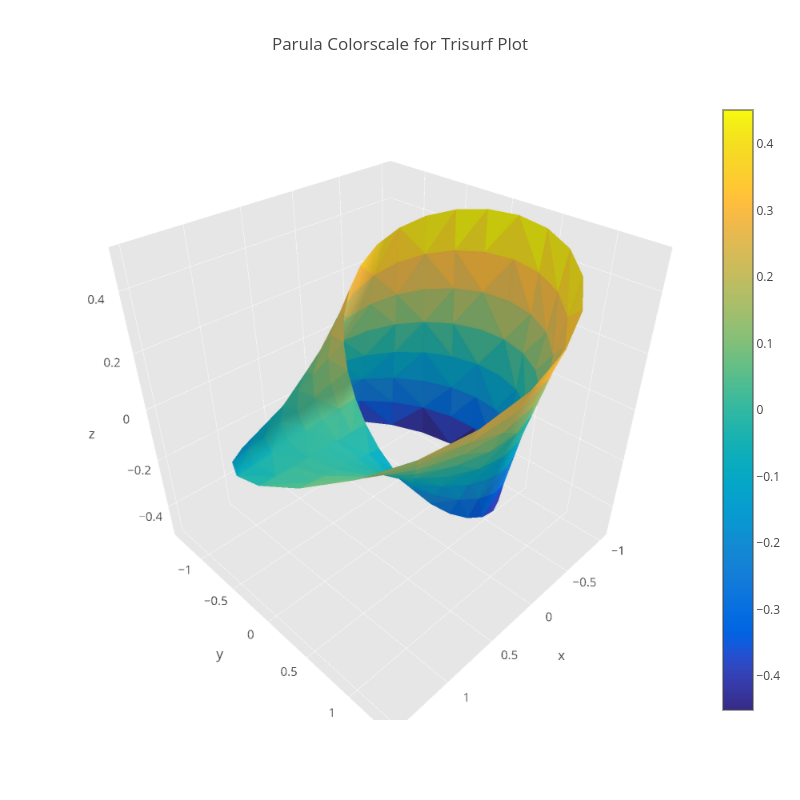 Pythonplotbot's interactive graph and data of "Parula Colorscale for Trisurf Plot" is a mesh3d. The x-axis shows values from 0 to 0. The y-axis shows values from 0 to 0.